Sandhills Bluestar have slender, hairy leaves giving the plant a "fringed" appearance. Flowers have 5 fused petals forming a slender tube and often attract long-tongued bee flies as pollinators. A handsome sandhills species, often growing in clumps. Leaves persist into fall when they turn golden brown. 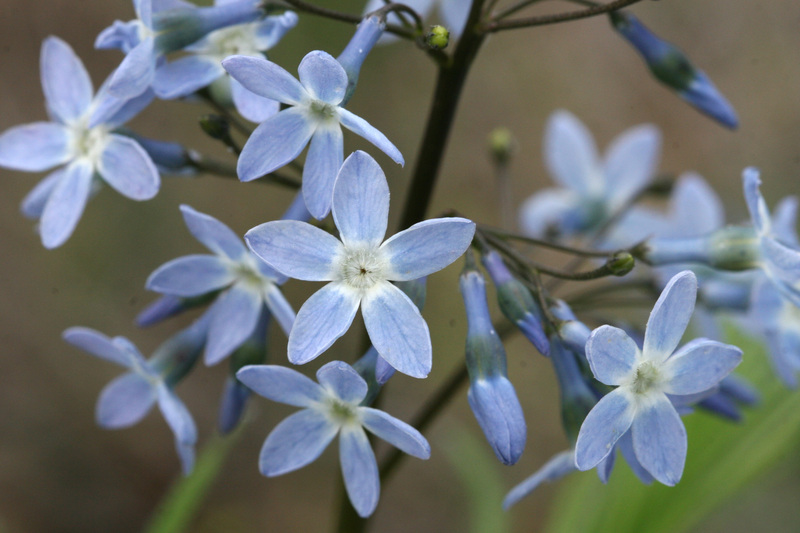 Pale blue blossoms grow in terminal clusters.